Paragliding has a very similar background with parachute but paragliding purposes have changed with time. Therefore, paragliding has emerged as an outdoor sport while parachute remained to be the primary part for many flying involved activities. The roots paragliding highly depends on military purposes. During World War I, the parachute is used along with navy vessels. Parachute pilot was in duty of going up in the sky and check for possible ships nearby. 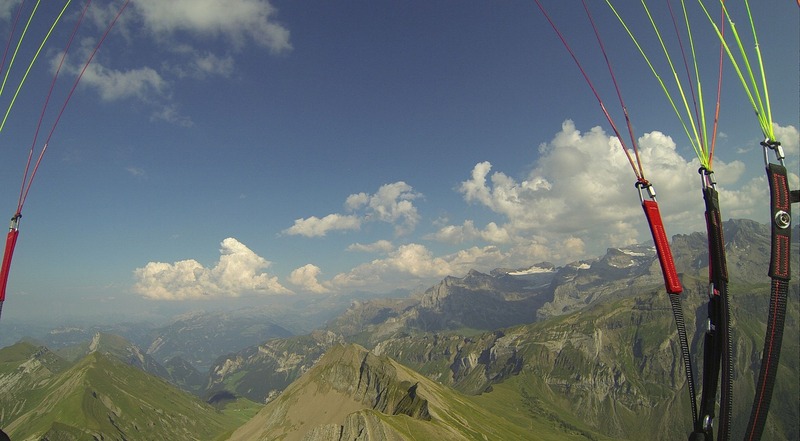 The history of paragliding evolves from this idea. The design of the canopy and the number of vents were different from current paragliding material. < p>It is quite likely for extreme sport lovers to think that paraglide has been invented by Leonardo da Vinci since it is a very historical equipment. However, this is not the case. In 1961, NASA contributed allot for the design and function of paraglide by supporting the designer and paraglider Pierre Lemoyne. This French engineer and paraglider improved the older versions of paraglide by strategically placing the vents in a way that the paraglide would ascend and descend in the air. For the recovery of lunar capsules and other scientific purposes, NASA developed the ”sail wing”. From that time on, the design of paraglide has improved according to sports use.